Nettle Net® Boat Pools® were invented in 1978 by entrepreneur and professor Dave Dianich, shortly after he purchased a waterfront home in Poquoson, Virginia only to discover that he and his family couldn’t swim in the river because of the overwhelming presence of stinging sea nettles. Not one to let a bad situation stop him, Dave set out to find a solution to the problem. Over the years he tweaked his original design, until he found the perfect combination of materials necessary to create a jellyfish free swimming environment that meets the storage, durability and ease of use requirements of boat owners and dock users alike. Over the next 25 years, Dave Dianich sold his pools to thousands of customers, mostly through word of mouth and grass roots marketing efforts. 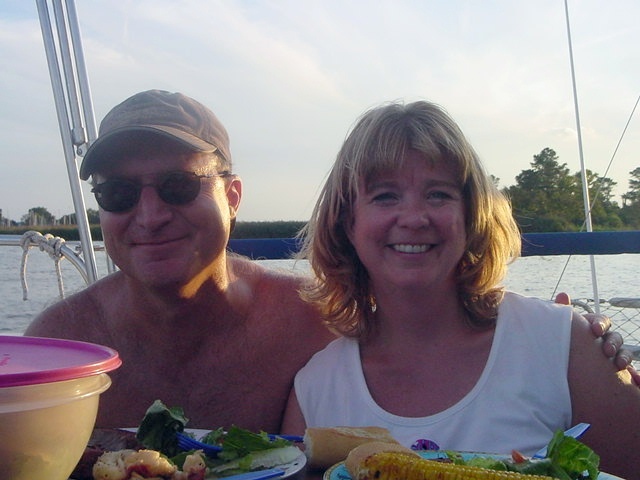 In 2004 one of his many deliriously happy customers, David and Kathy Nolte, avid Chesapeake Bay boaters and owners of several small businesses, learned that Dave Dianich was looking to retire. Armed with the first hand knowledge of the happiness and fun the pool can bring and convinced that the product had only reached a fraction of its market potential, David and Kathy formed A Fresh Tack, LLC and purchased the company. A Fresh Tack’s mission is to bring true joy to hot children and adults everywhere by making Nettle Net® BOAT POOLS® an easy to find, must-have staple in the boats and homes of people who want to enjoy the bliss of jellyfish-free swimming on a sultry summer day.